When Baci is first conceived, the starting point was to re-create an authentically Italian, serving quality Italian coffee and fresh, cafe style food in a neighborhood setting inspired by the European coffee culture where people relax, share, and enjoy each other’s company. We place great emphasis and expend copious amounts of time and energy on supplying a high quality range of coffee. Baci’s aim is to create an European coffee place atmosphere, meaning a cozy, friendly place to meet up that has something of a buzz about it. Baci is a place where our guests feel comfortable meeting friends, working on the computer, grabbing a bite of lunch or just relaxing on their own reading the paper. Baci provides a high quality food offering, which is based on fresh ingredients. We serve gourmet handmade sandwiches, traditional pastas, pizza, salads, biscotti, fresh pastries, and cakes. We also routinely provide a variety of seasonal and monthly specials, which enables us to constantly refresh our menu. Every Baci barista is unique. Not only are they experts in making the perfect coffee with speed and precision, each brings their own flair and creativity to every cup they make and also to provide an efficient, welcoming service. the team is encouraged to talk to the guests, and to get to know the regulars’ orders and their preferences. We want to be part of the neighborhood, not just to serve it and we wouldn’t’ have it any other way, because we believe that only the very best coffee is made from the heart. 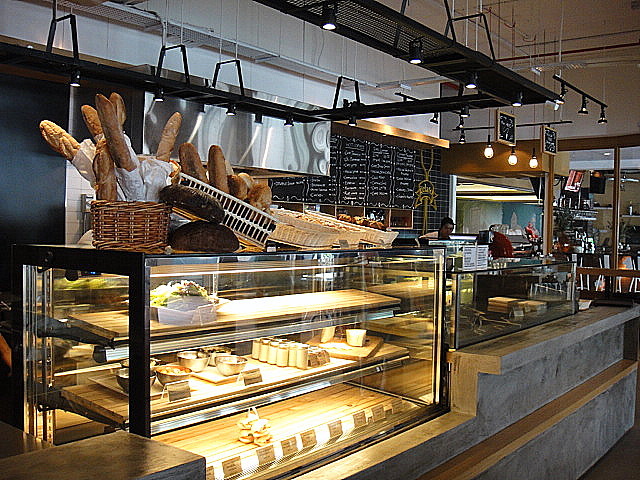 Address: LOT G-47, Citta Mall, No.1, Jalan PJU 1A/48, Ara Damansara, 47301 Petaling Jaya, Selangor.